“Big Red” has been rolling out their LTE network at an impressively fast rate, surpassing the 400 market milestone this year, and will be covering about 260 million of the nation’s 300 million people by the end of this year. 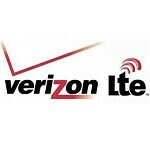 Verizon will have its LTE rollout complete by mid-2013, months ahead of schedule and years ahead of the competition. Once the network is really close to completion, it will be interesting to learn which city or town ends up being the last one to have the switch flipped to the “on” position. This is why I love Verizon and been with them 8+ years. I don't travel so much but still it's all about service for me. People say they are expensive but you get what you pay for. I agree!! When people criticize Big Red it's only out of bitterness cuz' "they can't afford it!" Finally, I can move to Butte!! Missouri, eh? Verizon's pushing big here. If they can get awesome enough coverage, they stand to take some serious share from AT&T and Sprint. Lake of the Ozarks is a major destination. Ozarks was kind of a shock for me too. Cool they are covering the central MO areas. Lots of people with ATT there will be jumping ship since ATT is a little behind in that area. Verizon is a little slower than ATT in the Saint Louis Area though where I usually get 20-60Mbps. Verizon is closer to TMobile speeds in the 6-20Mbps range. But Verizon has had 4G LTE in St. Louis far longer than AT&T, so there is likely to be a higher adoption rate among Verizon for that, leading to higher traffic, thusly leading to less bandwidth to share among users. All this will cause slower speeds. Let AT&T reach Verizon's adoption rate there and I'd bet you will see very similar speeds there. Verizon beat ATT by a whole 6 months...but had less coverage. They expanded it at the same time ATT rolled out and are expanding it again now just to get the same coverage ATT has. I know this because a friend with Verizon was getting coverage in less areas than me and is slowly getting more coverage to match. I've watched their speed since rollout and it has always been slower and very buggy early on with outages that I never had on ATT's rollout. In some areas ATT's 3.5G/HSPA they called 4G was faster than Verizon's LTE. Most TMobile speeds in STL is below 10Mbps too which is like ATT's 3.5G speeds...I have yet to see them anywhere near 20Mbps much less the 42 they claim. And, Sprint has yet to get LTE here, so are limited to 2G/3G speeds on their devices. Myself and many others here are unlimited still too, so putting more load on the network and still getting those speeds. As far as who is on what carrier- out of everyone I know in a four state area 2 friends have Verizon, 2 have Sprint and everyone else is ATT, so I'd guess the bandwidth is higher on ATT.